This week for our written comic book reviews we cover comics that weren't talked about on Comicast #84. 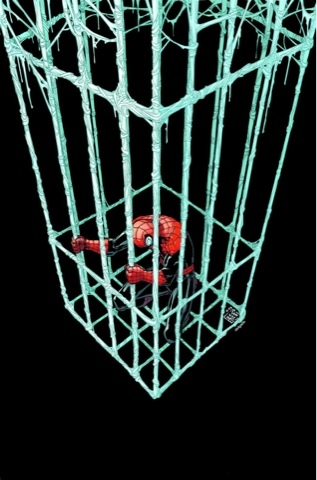 Check out our reviews of Superior Spider-Man #11, Green Lantern #21, Earth 2 #13, and Star Wars Dark Times Fire Carrier #5. This was an ok ending to an ok story. The art has remained consistently decent through out the series. Nothing too impressive but it definitely wasn't bad. This issue got a little dark at first but refrained from confronting it all that much. It kind of seemed rushed the way they wrapped things up so quickly and nicely. Seriously how can you have a nice, happy ending after the beginning of the Jedi purge. 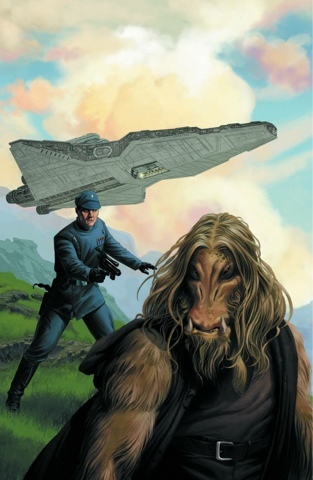 It began with one of the older padawans using the force in a dark manner against some imperial soldiers. One of the imperial officers meets up with the Jedi master to offer his assistance and allegiance. In consideration to that it seems like there's darkness on the horizon as these runaway Jedi do their best to rebuild and prosper. The way that they explain what the young padawan ended up doing and how this wrapped up was pretty weak. Had they explored the void within the girl and the disappearance of the officer it could have been exponentially better but instead they played it safe. Maybe they'll explore this in another miniseries but as far as this one is considered it was slightly more than mediocre. Most of the set up for this was in the annual issue not that you needed to read it. They didn't waste any time getting into the story though since it was already set up. It was really cool to find out how Captain Steel came about. They also explain why they're sending Captain Steel instead of somebody else like Atom into the pit. The ending result of Steel being in the pit was terrifying for two completely different reasons, one visual and one verbal. There was a lot of monologging and exposition but it actually made for a pretty interesting issue. The art was rather impressive throughout. The art is what really sent the message home to be afraid for what's coming. I'm still confused about a few things but I'm not sure if that's because I've missed issues or they just haven't explained certain things yet. It's those thing that held me back from fully appreciating this issue. It's really disappointing when a great writer leaves a book and then see it fail. Did anybody expect this title to be as good once Geoff Johns left, of course not but not I definitely expect it to fall this far this quickly. I expected this out of whoever would take over for Scott Snyder on Swamp Thing which I have actually liked but not for this title. Are they truly so incompetent that they can't get a good writer to take over this title. The art is just as mediocre as the writing is too. It's ridiculous. So not only do you have a mediocre writer takeover but a subpar artist was well, WTF. Not only that but this felt like more of a Green Lantern Corps book than what it is. 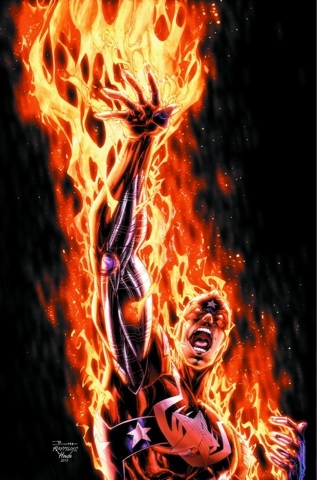 Honestly I could give a crap less about Hal Jordan. I'm interested in this book because of the new Green Lantern Simon Baz. Simon Baz is the future not Hal Jordan. As far as I'm considered Hal is the past. Now I have to read Green Lantern Corps to read about Simon Baz instead of this title which feels more like a GLC book anyway. The reason it feels more like a GLC book is because it starts with Hal and new GLC recruits in a soup sandwich of a situation. Then it jumps back and shows you what lead up to that point. There's a moment between Hal and Carol Ferris that really goes nowhere and just feels like a waste. 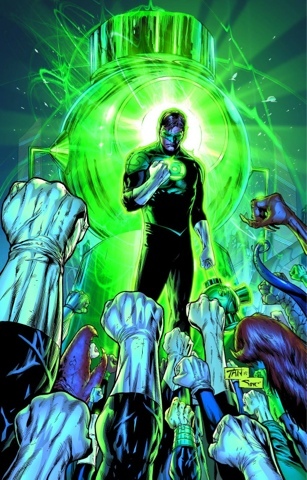 Hal Jordan gets elected to be the leader of the GLC by the new guardians. Jordan doesn't want the job but doesn't have much of a choice. He rashly decides its time to start recruiting as Larfleeze attacks. It was a lot less interesting and more confusing than it sounds. I imagine this was a sad day for most Lantern fans but I never was much of one so I wouldn't know. Every week I struggle to remember what happened in this book because it's so inconsequential. This issue has little to nothing to do with the last issue except for the fact that it has recurring characters one of those characters being Mayor J. Jonah Jameson. Now if you haven't been reading this title for about two years or let's just say since Spider Island you don't know that Allister Smythe killed Jonah Jamison's wife nor do you fully grasp how important this issue truly is like myself. In this issue we have Jamison calling up the superior Spiderman to tell him that he needs a favor because Allister Smythe is supposed to be put to death and he wants him to be there to make sure that nothing bad happens, that he doesn't escape, and everything goes smoothly. Of course it doesn't and stuff goes to crap. Octavius is more prepared than Peter Parker would have been yet it seems like the Spider Slayer may still escape. And that's it that's the issue essentially. Whereas the end of last issue had reintroduced the Green goblin or hobgoblin I'm not quite sure but a goblin and they had no reference to it whatsoever in this issue. Honestly I was surprised that there was a different artist on this title because I didn't really notice but once you looking over it you realize that it's not as good but it is similar. This title is just so mediocre that it's difficult to recall the going-ons of the story through the art or writing.